Entrepreneurs have entered 2019 with confidence about their businesses. 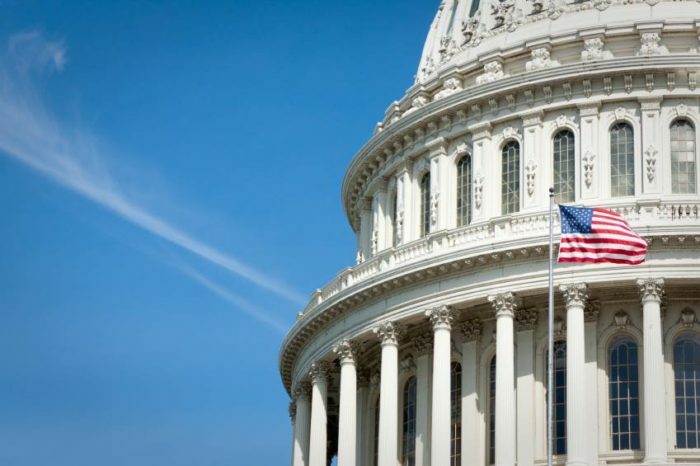 Business owners ended the year with record-level optimism, according to key surveys, but see red flags when it comes to the direction of policy given the new political dynamics on Capitol Hill. While some news headlines are expecting doom-and-gloom for the economy in 2019, the actions of small business owners do not reflect this pessimism. They continue to plan for revenue growth, investment, and hiring in the year ahead. The keys to small business competitiveness and healthy entrepreneurship hinge on strong and sustainable economic growth. That means policies must continue to lift government-imposed barriers, and encourage capital formation and investment. To that end, SBE Council will urge President Trump and Congress to prioritize their agendas in key areas where bipartisan consensus is possible to ensure that small businesses and startups have every opportunity to succeed in 2019. Entrepreneurs definitely understand there will be a break in the pro-growth policy momentum of the past two years. The tax and regulatory changes and general direction of policies have fueled economic growth, investment and confidence, and these changes will continue to pay dividends in 2019. Obviously, there will be tension on issues given the priorities of the new Democratic majority in the House and the agenda of the Republican-controlled Senate. SBE Council will certainly oppose policies that harm entrepreneurship and small business growth, but we see an opportunity to advance legislation and policies in key areas that will improve the climate for business startup and growth. Work remains to make the U.S. more globally competitive for all U.S. businesses and to revitalize the ecosystem for entrepreneurial activity. Transforming the outdated regulatory system, improving capital access, lowering health coverage costs and increasing choice and competition, global market access and intellectual property protection, additional tax code fixes that focus on simplicity, affordable energy, and ensuring all communities across America have access to quality broadband are some of the key areas for action. Regarding the potential for an infrastructure package, the voice of small businesses will be vital to ensuring that new initiatives and changes in these areas are beneficial to our sector. In addition, federal government policy has a role to play in developing policy that will safeguard the growth of the digital economy. Therefore, it is critical that Congress advance a national data privacy framework, given the rush by states to move their own regulatory regimes. Fifty different state laws would prove to be costly and complex for small businesses, and confusing for consumers. SBE Council will continue to work on the core issues that impact small businesses day-in and day-out, while addressing a slate of emerging issues and threats that require small business engagement. The agenda below outlines those areas. Please make sure to check back as we include specific pieces of legislation (as they are introduced) or new initiatives that fall under each major category below. Capital is the fuel that drives entrepreneurship and economic growth. It’s no secret that small businesses and startups need a continuous flow of capital to launch, compete and grow. Access has greatly improved over the past two years, with bank lending on the rise. The capital provided by the “Tax Cuts and Jobs Act” has helped many entrepreneurs self-finance business expansion, raise employee wages, and offer new benefits. Strong economic growth in general has boosted venture capital investment. In addition, investment crowdfunding is on the rise. Still, there is much to be done on the policy front to encourage capital formation and access, and improve business lending and financing. Unfortunately, the Senate did not act on the massively bipartisan JOBS Act 3.0, which passed the House by a vote of 406-4. Many of the bills included in this package, and strongly supported by SBE Council, have also passed the House on an individual basis over the past few sessions of Congress. SBE Council will again work to advance these bills on an individual basis, and perhaps there will be an opportunity to move them as an entire package within a JOBS Act 3.0-type bill. JOBS Act 3.0 addressed an array of regulatory barriers and costs – from launching a firm to exit – that impede entrepreneurial opportunity and growth. The package will improve the competitiveness of U.S. capital markets and directly help entrepreneurs access the capital they need to start a business, buy a business, scale their firms, more effectively compete and expand, and exit more efficiently. ● Clarity for funding portals, making it clear that portals are not liable for the misstatement of issuers. ● Repealing requirement from audited financials for issuers raising $500,000 or more. ● Reducing the complexity of the initial and ongoing mandatory disclosure requirements on issuers (25 currently). ● Simplify Reg CF Form C. Currently a 25-page document. ● Allowing for single purpose vehicles, which may mitigate issuers concerns about a potentially large number of shareholders. ● Allowing for lead investors or syndicates to help guide investors. ● Making adjustments to how much non-accredited investors can invest on Title III campaigns. ● Several improvements to Title III crowdfunding were included in the bipartisan JOBS Act 3.0 bill that passed the House. As explained above, the cost of health coverage is a top issue for America’s small businesses and entrepreneurs. Employee wages are weighed down by high costs, and lower costs would help small businesses compete for workers in the tight labor market. Small business owners and entrepreneurs want affordability and more flexible choices. Regulatory changes enacted in 2018 will help to improve affordability and choice, such as those made to Small Business Health Plans and short-term limited-duration plans. A forthcoming rule on health reimbursement accounts (HRAs) will provide small businesses with another tool to provide affordable coverage to employees. The unfair health insurance tax (HIT) directly strikes the self-employed, small businesses and their employees. Thankfully, Congress passed a one-year moratorium on the HIT tax for 2019. But savings will be short-lived with the return of the tax in 2020. Cost increases will be on the mind of small business owners not far into 2019, which means plans for dealing with rising health insurance premiums will impact owner psyche and investment decisions well before 2020 arrives. This dynamic could undermine small business confidence, and the profitability and competitiveness of small businesses. SBE Council supports full repeal of the HIT, or various solutions that have been proposed to extend the current moratorium. On January 10, 2019 a bipartisan bill was introduced in the Senate to repeal the HIT. SBE Council anticipates that other bills will be introduced, including bipartisan bills in the House. The law governing Section 125 cafeteria plans needs to change to allow business owners to both offer and participate in these plans. This change will mitigate compliance challenges and help to expand benefit offerings for small businesses. The change to cafeteria plans was included in the bipartisan “Small Business Tax Simplification Act of 2017” (H.R. 3717) in the last Congress, which SBE Council supported and testified in favor of at a House Small Business Committee hearing in October 2017. HSAs can be a more powerful tool for consumers if Congress advanced several key improvements. SBE Council supports increasing the contribution limits (doubling the current amount), allowing HSA funds to be used to pay premiums and direct primary care expenses, lifting the over-the-counter restriction imposed by Obamacare, and the pairing of HSAs with all plans, not just high-deductible ones. “Medicare for All,” single-payer proposals have been given new life with the new Democrat majority in the House and influence of the party’s left-wing. With a whopping $32 trillion price tag and other costly consequences of a single-payer system (degradation of care, long wait periods and less innovation), SBE Council will oppose efforts that try to push Americans into this government-run system. The biopharmaceutical industry is dominated by small to mid-size businesses. That is why America leads in innovation and the development of life-saving drugs and treatments. Allowing foreign drug policies to erode U.S. innovation would severely impact competitiveness, quality job creation the development of these life-saving drugs and treatments. SBE Council will continue to oppose drug importation proposals or legislation, as well as a proposed “International Pricing Index,” which essentially adopts the misguided and innovation-sapping policies of foreign countries. The federal regulatory process is seriously outdated. Reform of our complex and unfriendly small business system is long overdue, as accountability, transparency and responsiveness are needed. Over the past two years, key agencies have made solid strides to improve their regulatory processes. Many have conducted thorough reviews of regulations on the books, listened to the concerns of small business owners on a range of issues and proposed changes, and have made sensible changes to specific rules to help small businesses. Still, the current regulatory system is gamed to align with pre-determined outcomes and lacks accountability. Entrepreneurs and small business owners need a meaningful voice in the regulatory process, and regulators need to understand the impact of their proposals. The regulatory system also needs key reforms such as cost-benefit analysis, continuous regulatory review, convening small business owners to determine impact, a collaborative and transparent review of the problem that regulators are trying to solve (to determine if the market is actually broken), and whether there may be other rules are on the books that address the problem. ● Passage of the “Small Business Regulatory Flexibility Improvements Act,” which would protect small businesses in the regulatory process by providing them with a meaningful voice, more effective engagement, cost-benefit analysis on direct and indirect impact, and a process that reviews how proposed regulations specifically affect the small business sector. ● Passage of reforms included in Regulatory Accountability Act package that passed the House in January 2017 (including the small business bill noted above). Many of these bills also passed the Senate Homeland Security and Government Affairs Committee in May 2017. California enacted a complex and cumbersome state privacy law in October 2018, and twenty-six states are looking to adopt their own privacy and data protection regulations. This potential web of differing state-based regimes would prove to be a costly compliance nightmare for small businesses. Data currently flows seamlessly across state lines and, for the most part, country borders as part of the internet ecosystem. Treating it differently in terms of state-specific rules for consumer privacy and data security would be unworkable for all businesses, particularly small businesses, as well as for consumers. A national framework that provides one set of rules for privacy, data security and breach notification is needed. The growth of the digital economy and innovation across platforms and sectors offer all businesses, particularly small businesses, extraordinary opportunities. A consistent set of privacy and data security rules is not only important for small business growth, it is critical for consumer confidence in utilizing digital platforms and devices. ● Department of Labor’s forthcoming overtime proposal. ● The direct-to-consumer advertising mandate on drug prices proposed by the Department of Health and Human Services (HHS). The “Tax Cuts and Jobs Act” (TCJA) signed by President Trump at the end of 2017 has benefited small businesses and our economy. As SBE Council noted following House and Senate passage of the tax legislation, additional reforms are needed to simplify the tax system and bring more certainty for small businesses. Now that the clock has started to tick in terms of the expiration of key provisions in the TCJA, like bonus depreciation and most of the individual provisions that affect small businesses, it’s time to discuss permanency to ensure that small businesses are treated equitably over the long run. The new Democratic majority in the House will look to increase several taxes that could be harmful to small businesses and the economy, including the corporate tax rate, the individual top rate, and possibly other tax hikes on employers and entrepreneurs to fund “Medicare for All” single-payer proposals or other projects. ● Passage of the “Small Business Tax Simplification Act,” a bipartisan bill introduced in the last Congress that provides meaningful changes, simplicity, and relief for small businesses and the self-employed. The bill would make significant and positive changes for our nation’s entrepreneurs. It includes simple and common-sense fixes that reduce costs, complexity and uncertainty for small businesses. The legislation modernizes thresholds for self-employment income and Form 1099-Misc filings (the latter of which aligns with 1099k reporting requirements), aligns quarterly reporting deadlines, allows business owners to both offer and participate in cafeteria plans, allows a deduction for certain health insurance costs for self-employment tax purposes, allows voluntary withholding agreements and training services between contractors and “gig” entrepreneurs without impacting worker classification, and creates uniform standards for the use of electronic signatures. Many individual taxpayer provisions in the TCJA expire after 2025. The key ones for small businesses include the 20% deduction on business income, Section 179 expensing improvements, lower rates on the individual side and other provisions that will impact the entrepreneur’s ability to hold onto their capital and reinvest in their business. SBE Council will work with members of Congress to develop a framework for permanency and simplicity. The TCJA made America’s tax system more globally competitive and investment friendly. Lawmakers need to continually improve upon these changes. Tax increases on businesses, investors, capital, entrepreneurs and workers will hurt the economy, investment and undermine competitiveness. Many communities – especially rural areas – still lack broadband, which means people do not have access to the digital economy, and its tools, which enable opportunity. Revitalizing our Main Streets, rural communities and urban areas across America is contingent upon investment and new business creation. For entrepreneurs, access to broadband is vital. Efforts are underway to streamline rules that erect barriers to deployment, and the Federal Communications Commission (FCC) continues to pave the way for 5G, which is a critical initiative that will directly benefit entrepreneurs, small businesses and innovators. There is also exciting news on the 10G front, and SBE Council will support policies that enable and deploy this technology. A dynamic, inclusive economy depends on quality broadband access. Whether it’s the movement to the next generation of wireless network, or providing rural communities with broadband access for the first time, SBE Council strongly believes that access to the digital economy is essential for every American. ● Sound spectrum policy to enable 5G deployment, and addressing regulatory barriers at all levels of government to allow for timely permitting and infrastructure to be deployed. SBE Council will continue to weigh in with the FCC on proposals regarding spectrum auctions and licensing issues that facilitate and accelerate deployment. We will continue to educate elected officials and policymakers at all levels of government about the importance of 5G to entrepreneurs, competitiveness and boosting America’s innovative capacity. ● T.V. White Spaces: SBE Council will urge the FCC to dedicate at least three usable channels (below 700 MHZ) to remain available in markets across the country so that “TV white spaces” can be used to deliver broadband in rural communities across America. TV white spaces present an opportunity to bring broadband to rural communities. Microsoft has been testing its use in several areas of the country and the initial results show great promise. At a December 2018 gather in Washington, D.C., Microsoft president Brad Smith talked about the company’s “Airband Initiative” where he provided an update on their five-year commitment to bring quality broadband access to 2 million unserved rural Americans by July 2022. Microsoft and its partners are utilizing tv white spaces, which is unassigned broadcast spectrum, to do so. In addition, Smith upped the commitment to 3 million unserved Americans. As we have already witnessed in the past, when government maintains a light regulatory touch and opens spectrum up to private investment, amazing things can happen. The beneficiaries of investment and innovation include consumers, entrepreneurs, workers, and the overall economy. The FCC is still considering the tv white spaces issue and many individuals and groups have weighed in (including SBE Council) to provide support, including a bipartisan group of House members who sent a letter to all FCC Commissioners in July 2017. SBE Council has long championed trade agreements, trade promotion authority for the President (across all Administrations), and the tools provided by the International Trade Administration and U.S. Commercial Services that play an important role in helping small businesses understand how to do business globally and in specific countries. Ninety-five percent of global consumers live outside of the United States, and given the vast growth in wealth creation across the world, more entrepreneurs and small businesses are eyeing global markets for growth opportunities and expansion. America’s small businesses already play a significant role in the global marketplace. Opening global markets for our entrepreneurs and strengthening intellectual property (IP) must be a top priority for the Administration. Fostering global opportunities for U.S. entrepreneurs is critical to competitiveness. Approving trade agreements and deals, and getting more in the pipeline, will lift U.S. economic growth and wages and improve the lives of many across the world. When America leads on trade, our nation and the world both win. ● Supporting USMCA’s Passage by Congress – SBE Council strongly supports the agreement and will push for quick passage. The North American Free Trade Agreement (NAFTA) has been a solid pact for small businesses, and the U.S.-Mexico-Canada (USMCA) will build on that success. Leaders of the U.S., Mexico and Canada signed the agreement on November 30, and now Congress must approve the pact. USMCA bolsters growth enhancing provisions of the agreement and helps small businesses by lowering costs for businesses and consumers, expanding market access, strengthening intellectual property (IP) protections, and easing data flow. The USMCA’s small business chapter creates a platform for finding ways that small business owners and entrepreneurs can fully benefit from the agreement. ● U.S. Global Leadership on Trade: SBE Council will support and strongly advocate for movement on trade agreements with the EU, Japan and Great Britain. We will urge the Administration and Congress to look for opportunities to engage in talks with other nations that present significant opportunities for America’s small businesses. ● SBE Council supports an agreement with China, and repeal of existing (and possibly future) tariffs imposed or threatened by the Administration. Getting the ball fully rolling on other trade agreements would send a positive signal to the world, American businesses and U.S. financial markets. Trade policy has been a key area of uncertainty where concern is growing among small businesses. Trade and expanding global markets are critical to U.S. economic growth and leadership. It is very important to small business growth by providing firms with an opportunity to scale by serving niche markets in various parts of the world. Entrepreneurs are using global e-commerce platforms to extend their reach throughout the world and trade agreements will enhance that activity. Lowering tariffs and other barriers to trade would allow small businesses to access more markets, and be more competitive in the global marketplace. Dynamic entrepreneurship relies on strong IP protections at home and in international markets. A strong IP framework encourages startups, allowing entrepreneurs and small businesses to raise capital. It pushes innovation forward, and provides entrepreneurs with the confidence and certainty they need to capitalize on opportunities in domestic and international markets. This activity serves as a key engine for economic growth, job creation and a better world for everyone. IP-intensive industries – from software to entertainment to pharmaceuticals – are overwhelmingly populated by small businesses. If we want robust entrepreneurship, competition and innovation in industries like pharmaceuticals, technology and so many others, then IP rights and protections are essential. President Trump has consistently noted the importance of protecting American IP in various declarations and public speeches, therefore building on initiatives and legislation over the past several years that have made progress on this critical issue. ● Strengthening IP through trade agreements with an immediate focus on advancing the USMCA through Congress. ● Working with our allies in the business community and Congress to continually modernize the U.S. Copyright Office. ● Supporting government initiatives and legislation to prevent and detect IP theft. We will continue to work with the Administration in its efforts to modernize Universal Postal Union policies and pricing, which enables the theft of U.S. intellectual property. ● Educating small businesses, the media, members of Congress and elected officials at all levels of government about the value of IP to America’s growth, innovation and economy and why it is vital that we protect it. ● Ensuring that forthcoming trade agreements have strong IP chapters and protections. Other big pieces of SBE Council’s agenda include keeping energy affordable, improving federal government procurement for small businesses, streamlining government to improve cost-effectiveness for taxpayers, and engaging more on the educational front to showcase how entrepreneurs and innovation are solving our nation’s most complex challenges. When entrepreneurs and small businesses succeed, they create the quality jobs and innovative breakthroughs that are needed for a dynamic economy. Everyone benefits when there is a healthy policy ecosystem that encourages people to take risks and start a business. Please visit our website, or follow us on Twitter – @SBECouncil – for late-breaking news about this agenda, and specific legislation SBE Council is supporting in the 116th Congress. In addition, view regular updates on Facebook and LinkedIn. Karen Kerrigan is president & CEO of the Small Business and Entrepreneurship Council.